Ur kids R gr8 to have volunteer for the community!! Ur daughter is artistic like her mom... you are a great influence on your children. Love your scrappy card, hope you all had a wonderful weekend! Good for your daughter...you have every right to be proud!! Your card is fabulous....The flower not only fits there perfectly but looks great!! Good kids! It's a relief to hear that there are still people who help their kids understand the importance of helping in their community! Love your slapped together card too! I love your card Maria! I also admire you as a mom, and I know how proud you have to be to have such wonderful children. I think your scraps worked great ! 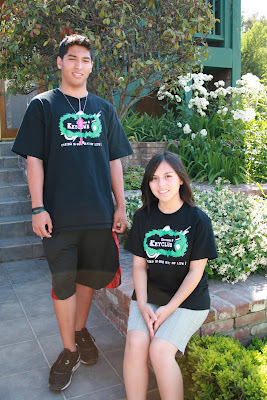 Your daughter did a great job on those t-shirts! Great kids you have there, I know how very proud you are of them as you should be! It's always great to see that we did a wonderful job in raising our children. 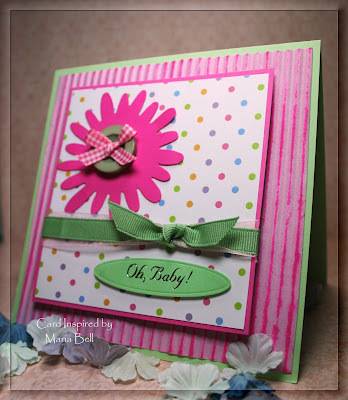 Luv your card & great use of the crimper for texture! Hi Maria,thank you for comment,i add you in my blog...lovely card!